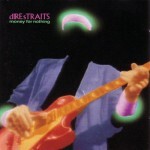 In this free online guitar lesson I demonstrate how I play the opening guitar riff in “Money for Nothing” by Dire Straits. This example is suitable for intermediate level players who have learned pentatonic scale patterns. You can follow along using the free tools below including guitar tab and an audio mp3 of the performance. 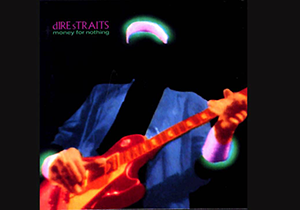 You can view and download my free Money For Nothing Guitar Tabs PDF file here. This file is just an interpretation of the opening riff. You may only use it for private study, scholarship, or research. 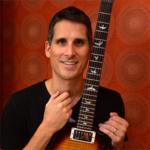 If you would like to learn how the original recording was played, or would like to play any other parts from the song, then you can get the complete, accurate, fully licensed and legal guitar tab at musicnotes.com. You can also preview, purchase and download the original recording at iTunes. In addition to the video demonstration, I also have an audio performance of the part I play. This is a separate take from the video, so the performance may be slightly different. The use of a click track will help you hear when notes are on and off the beat. I play Money for Nothing using the G minor pentatonic scale. I begin in part of pattern two, use part of pattern one, and then use part of pattern five in the open position. The riff makes use of power chords, with some inverted putting the 5th in the bass. Pentatonic scales are one of the most widely used scales in music to play guitar riffs, lead guitar solos and bass lines. Pentatonic scale patterns are taught in the instructional guitar video, Pentatonic Scale Patterns: How to Easily Master the Patterns Used to Play Music’s Most Iconic Guitar Riffs and Solos. The very same video instruction is also part of the complete Fretboard Theory guitar theory system. I used a Fender Eric Johnson Stratocaster, staying in position 4, which is a combination of the neck and middle single coil pickups. I plugged into a PRS Custom 50 amp head and used the lead channel with the following settings (12 represents 12 O’clock). Volume: 12 Treble: 12 Middle: 1 Bass: 10 Master: 8 Presence: 12. I added a slap back delay with a Visual Sound Dual Tap Delay pedal. The amp head was plugged into a Rivera Silent Sister isolation cabinet and miked with a couple of Shure SM57s. Was this free guitar lesson helpful? If yes, then please leave me some positive feedback. Thanks. Very Good and nicely taught!!! Thank You! Your teaching skills really show up as you simplify a rift that I thought would be so much harder to lean!